Settling down around the pleasant views of nature and its wonderful surrounding is just like a blessing. Having a home around these magnificent views provides us with a healthy and nourishing lifestyle. People decide to go for a trip on holidays and vacations and spend a huge amount of money on that. The reason is simple, just to experience the beauty of nature and to get a breather from all day fatigue from our busy schedules. 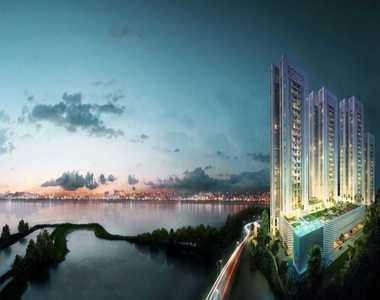 Now, Kolkata city has an option to provide you home around these types of wonderful natural elements. Sector V, Kolkata is a region which is gifted by the 1000 acre natural lake which is popularly known as Salt Lake. This region is very prosperous and developed. Equipped with advanced infrastructure and wonderful smooth road network, the locality has great connectivity to the rest of the city. Several multinational companies have their offices around this region of Kolkata city. It has some best schools, several shopping malls, top restaurants, best medical facilities, and other important public and social facilities. Some great projects from the leading developers are spreading their glow here. Lifestyle in some of the selected projects here is very amazing. If you choose Merlin 5th Avenue in Sector V, Kolkata, you choose the correct destination of luxury where all your family members will find the best modern resources to live a sophisticated lifestyle. The development is around the 1000 acre natural lake and there are plenty of green zones around this township. The estate itself has wonderful gardens and green parks. Here, 441 modern apartments are available in 3 BHK configurations. This is a 4.22-acre property which has more than 60 percent open spaces and the 5 majestic high-rise towers contain G +22 floors where AC apartments have been designed with finely crafted interiors. Homes in this project are available in various sizes which varying from 1062 sq. ft. to 1906 sq. ft. 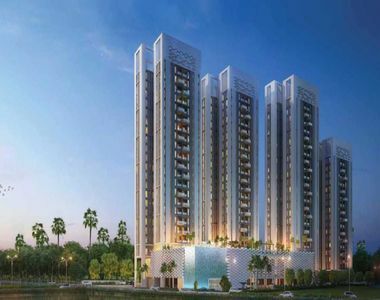 The strategic location of Merlin 5th Avenue Salt Lake is very advantageous and residents can move around smoothly from here to any of the renowned landmarks in Kolkata. The wonderful prices set here for the purchase of ultra-luxurious apartments range from INR 80.71 lakhs to INR 1.44 crores. The complex is providing a wonderful range of modern amenities and facilities to its residents. Some special features which you can enjoy in Merlin 5th Avenue Kolkata are a swimming pool with Jacuzzi jets, trendy salon, fast elevators, guest rooms, car wash area, cycling and jogging track, clubhouse, meditation center, banquet hall, hi-tech security, power backup and much more.